In both moist and dry situations, such as meadows and shores; also often in open oak forests and sometimes in ± disturbed sites. 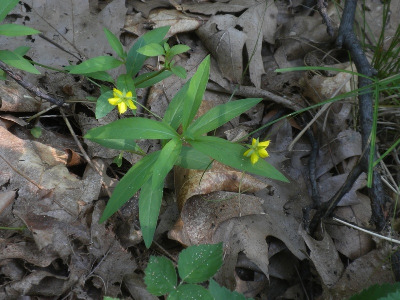 Very narrow leaved forms of L. lanceolata occur to our south and west, but have not yet been discovered in Michigan; if found, they may be distinguished by their flat, scabrous or papillose margined leaves. MICHIGAN FLORA ONLINE. A. A. Reznicek, E. G. Voss, & B. S. Walters. February 2011. University of Michigan. Web. 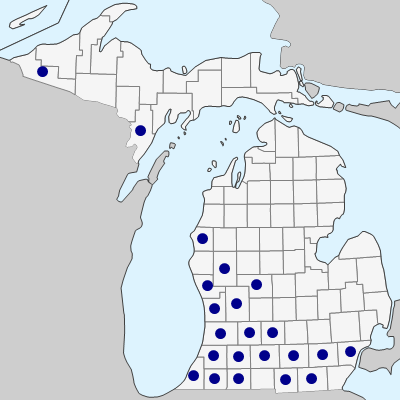 April 19, 2019. https://michiganflora.net/species.aspx?id=1711.